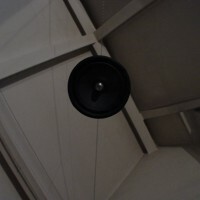 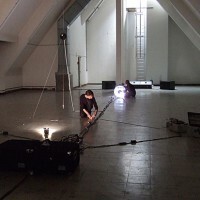 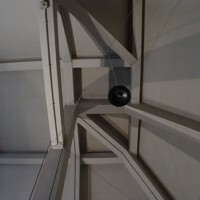 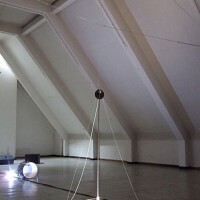 In 2007 Jeroen Vandesande and Pauwel De Buck created a site-specific sound sculpture in an old post office building in Kortrijk. 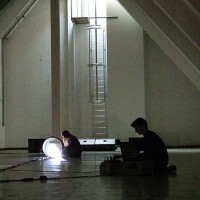 They were invited by Happy New Ears festival for a two week residency. 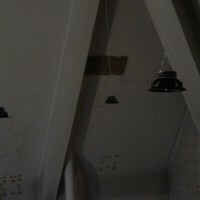 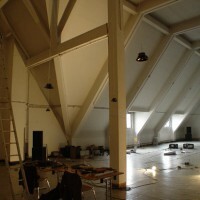 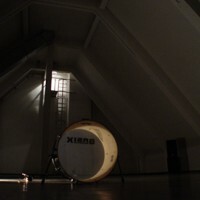 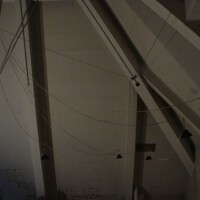 They chose a resonant attic where they did research to acoustic and electronic sound design. 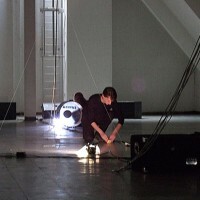 Different techniques like soundlayering, resonating objects, feedback etc. 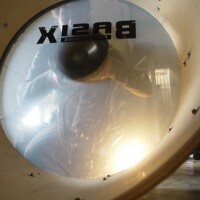 were some of these exercises. 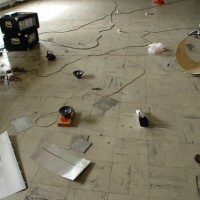 The results of these experiments with sound were played back in to the space and recorded again. 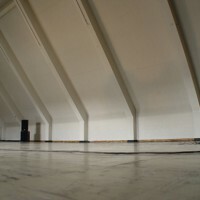 The acoustic character of the room became a natural filter for the sound. 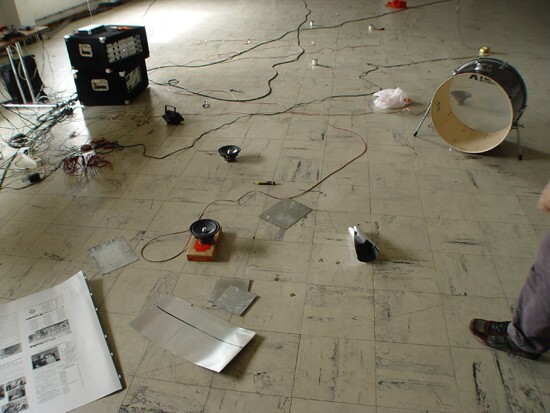 All these experiments revealed the specific aural character of the room. 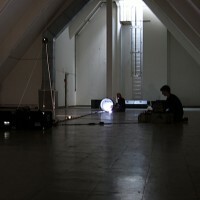 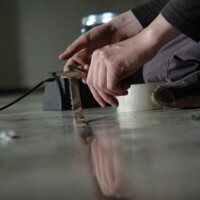 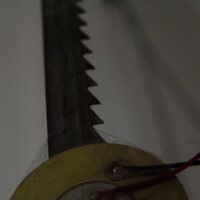 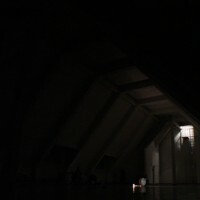 The result being a public performance in and with the installation where the artists transformed the aural environment. 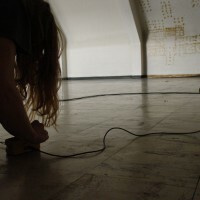 In this performance in three parts, every part had its own physical space and specific sound design. 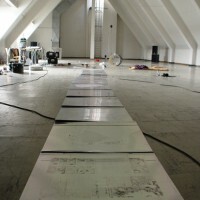 The aural and visual architecture came together during the presentation.